Street cats, alley cats, wild cats, feral cats, homeless cats … there are a lot of different names we give to these free ranging felines. Most of the time, they take care of themselves, scavenging and hunting for their meals while also depending on the kindnesses of cat lovers, but things can get a lot chancier when the weather turns frigid. 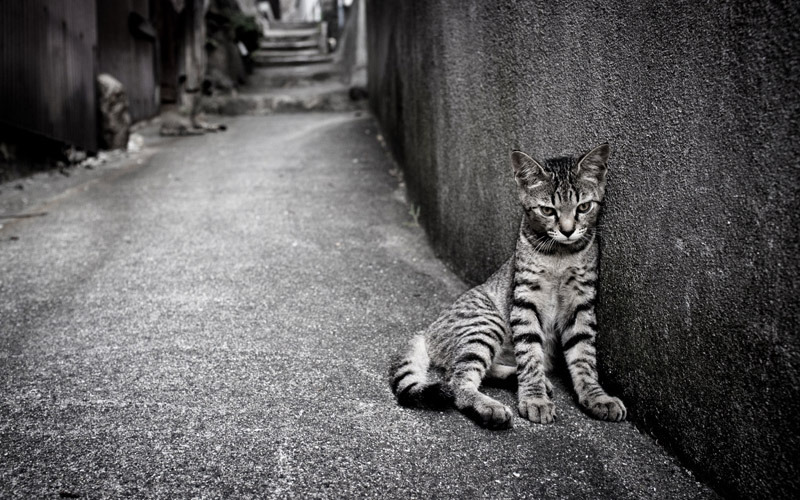 Before we go on, let’s consider why you might want to help your neighborhood’s feral cats. In any neighborhood that supports a healthy (i.e, neutered and released) feral cat population, rodent populations are kept in check, eliminating the need for harmful chemicals and poisons, and protecting the residents of these neighborhoods from the diseases and damage rodents can cause to life and property. 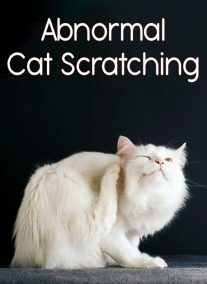 Cats are a practical and “green” solution to this universal problem. 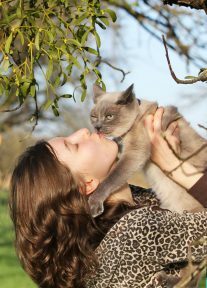 In addition, a family and neighborhood commitment to caring for a controlled feral cat population teaches our children that we respect life and appreciate the work these cats do for us. This is why many animal supporters encourage community participation in maintaining their local feral cat population. 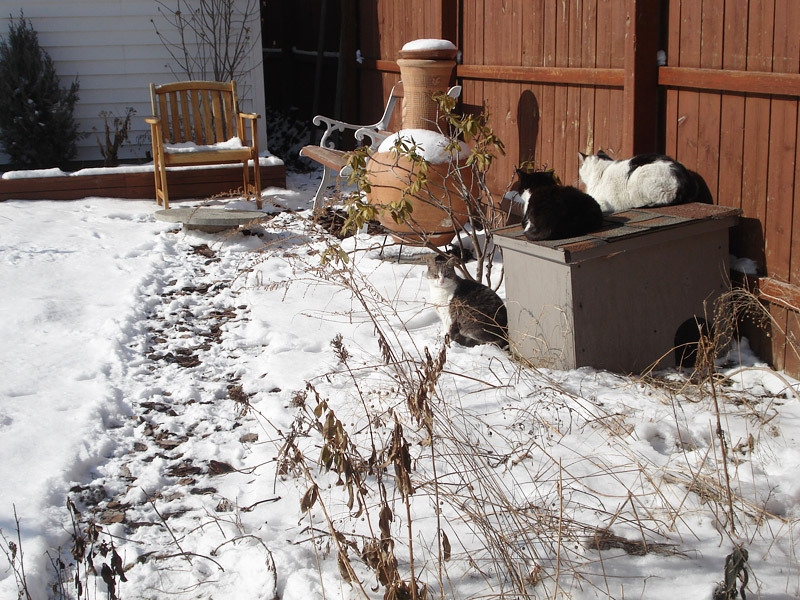 If you count yourself amongst these supporters, there are ways you can help your local cats to get through the winter with a minimum of hardship. 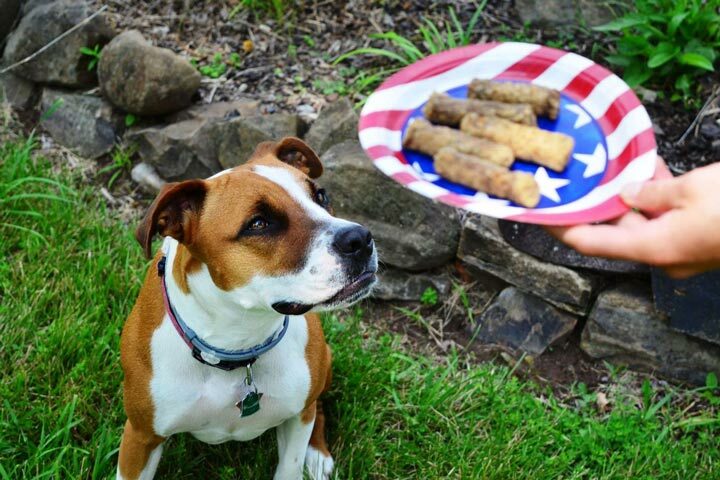 If you can get your neighbors involved, so much the better. 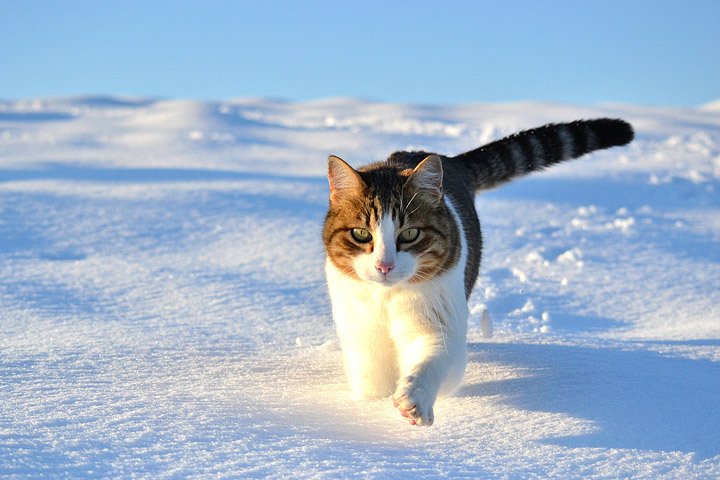 Cats don’t need a lot of space, just a space that is large enough for them to stand and move about and stay safe from the harshest outdoor elements. When the weather is at its coldest, the cats will be relying on each other for warmth, and will create their own tight spaces within their shelter. With that in mind, you can use whatever space and materials available to you to create a small haven. 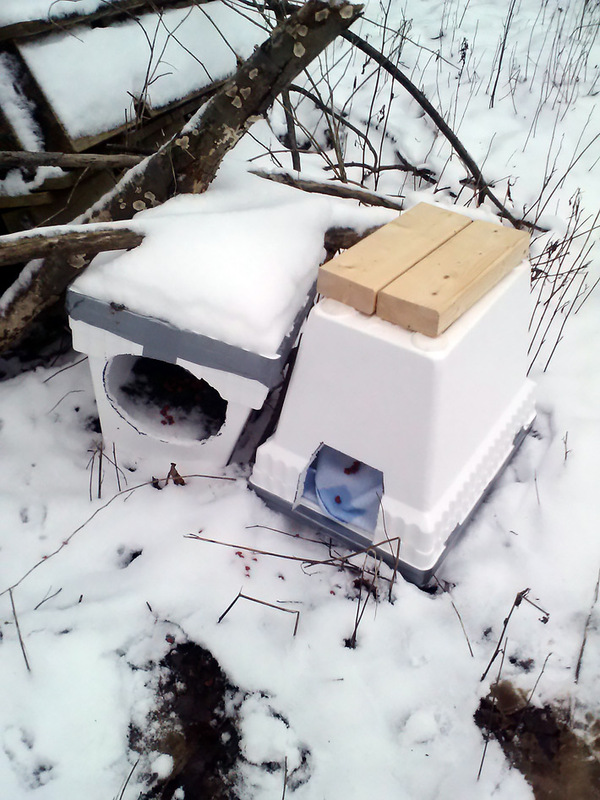 Homemade shelters can be crafted out of nearly anything: from a sturdy cardboard box (think of the heavy cardboard used for packing television sets) to an anchored plastic garbage can to a few pieces of scrap wood that have been arranged as a buffer against the wind and snow and rain. The shelter should be large enough to accommodate several cats comfortably, but not too wide or tall. In fact, the smaller the size, the better the space will be equipped to retain the cats’ body heat. When creating the entry opening into the shelter, keep in mind that the opening should only be large enough to allow a cat to enter, so that as much of the wind and snow stay outside of the shelter as possible and the interior of the shelter remains dry. If space allows, you can create an awning or plastic “curtain” to shield the entry. Plastic sheeting or heavy garbage bags are quick and inexpensive options for this. If it is not possible to cover the opening, you can try placing the shelter close to a wall, with the entry facing the wall. If you are able to put a little more work and material into the shelter, try adding insulation to the interior roof and walls of the structure and line the seams of the shelter with caulk so that it is as draft free as possible. Also, elevate the shelter off of the ground to prevent ground moisture from seeping into the floor of the shelter. Of course, you do not want the shelter to be entirely sealed. Some amount of ventilation is necessary, perhaps as some small holes along the bottom of the structure. Bedding material can be added, but blankets and towels are not a practical idea, since they can get wet and moldy and can even freeze, making them unusable. Straw is an excellent material, since it does not hold onto excess moisture, and helps to retain heat. Finally, be sure to locate the shelter in a safe, concealed spot where the cats feel securely hidden from predators and can watch their surroundings. 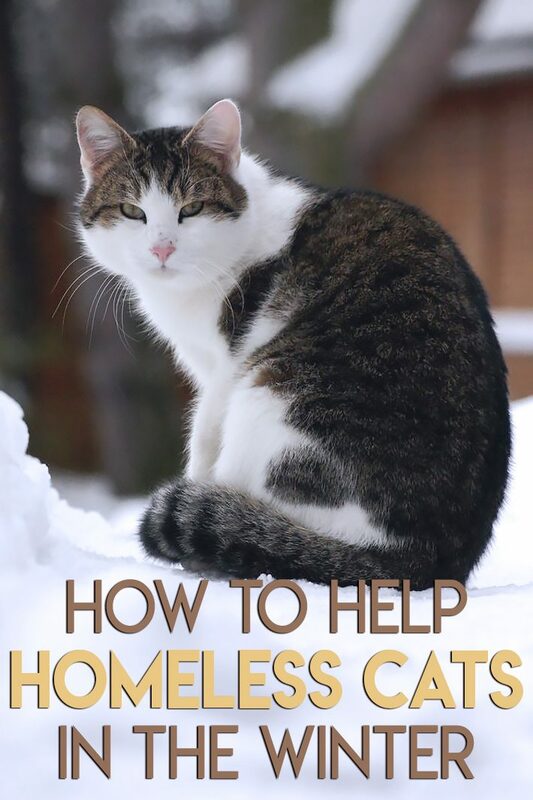 The homeless cats will require extra calories and fat during the cold weather months in order to maintain their energy requirements. If you can inspire your neighbors to be involved in the project, even if only through drop off donations of food to the designated “feeder of the cats,” the project will have a much better outcome. A dry kitten formula is an excellent source of extra calories and balanced nutrition. 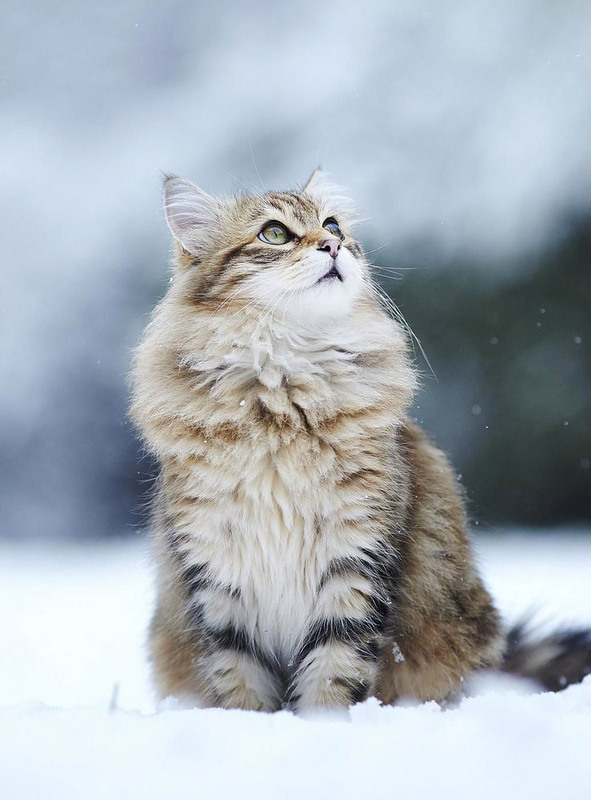 Canned cat foods are also a great source of high calorie nutrition, but because of their higher liquid content they may freeze during the coldest temperatures. 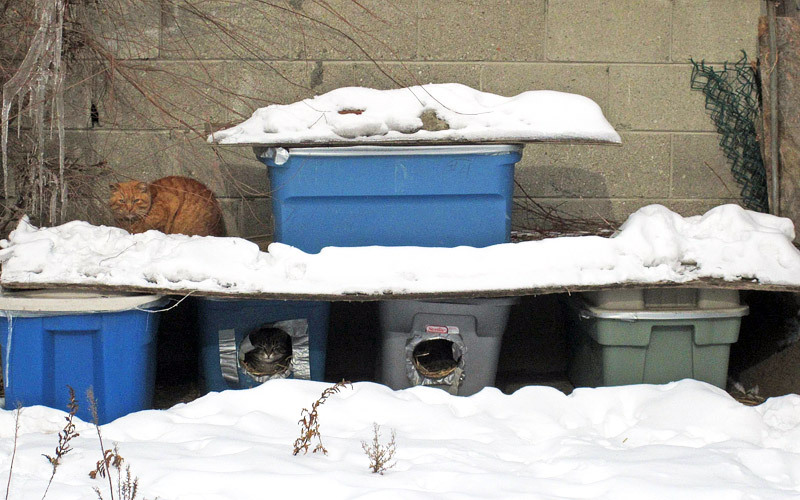 Feeding and water stations should be protected from the cold and placed as near to the sleeping shelter as possible so that the cats do not have to be exposed to harsh conditions when they need to eat or drink. Feeding the cats at the same time each day will allow them to expect and rely on a schedule. If they do not know whether they will be eating or not, they will venture out into the cold to look for food, defeating the whole purpose for the care project. Having a dedicated “feeder,” or a small group of scheduled “feeders” who take turns, can make the process much smoother. Also important to the cats’ survival is fresh, clean water. Of course, snow is an excellent source for water, but don’t forget to check the water bowl regularly to make sure it hasn’t frozen during the night. While the homeless cats may not be able to thank you in ways you can understand, you will know that they have repaid your kindness with the absence of rodents, and you will know that it is all worth it.